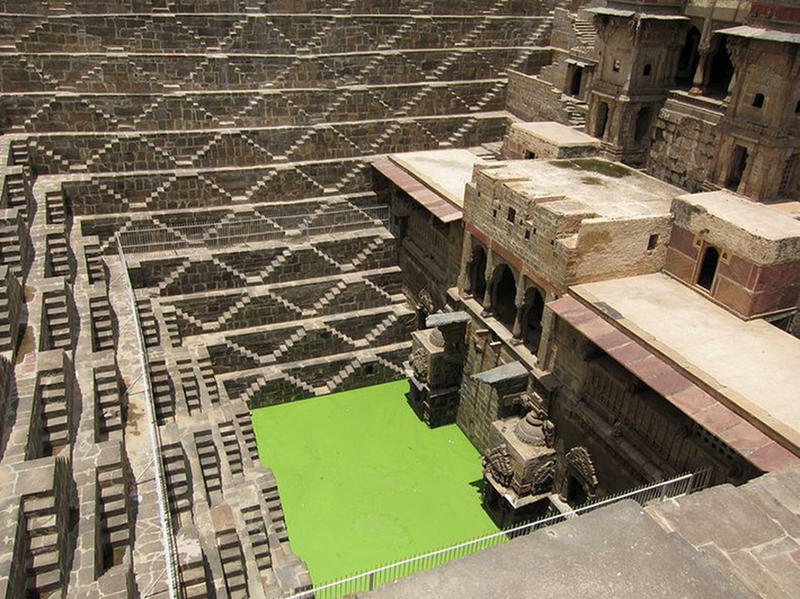 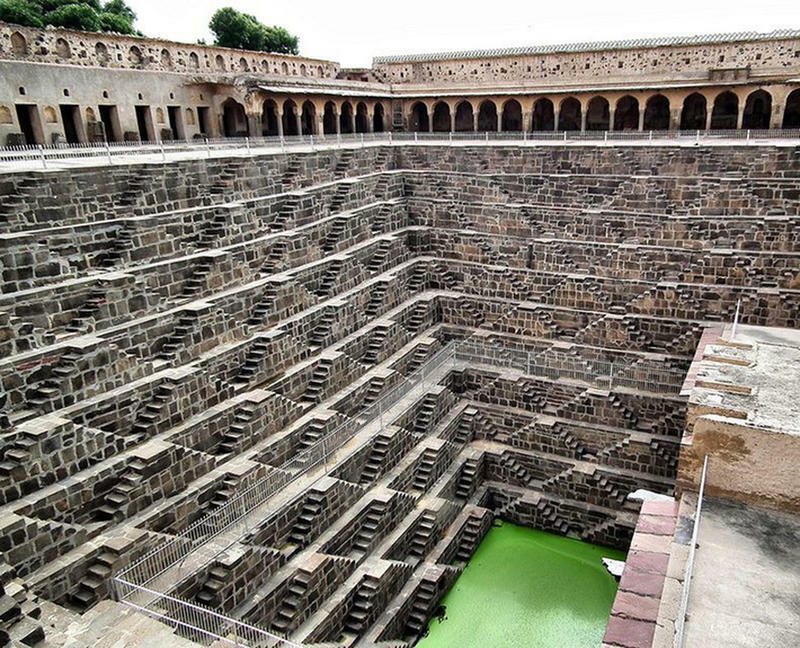 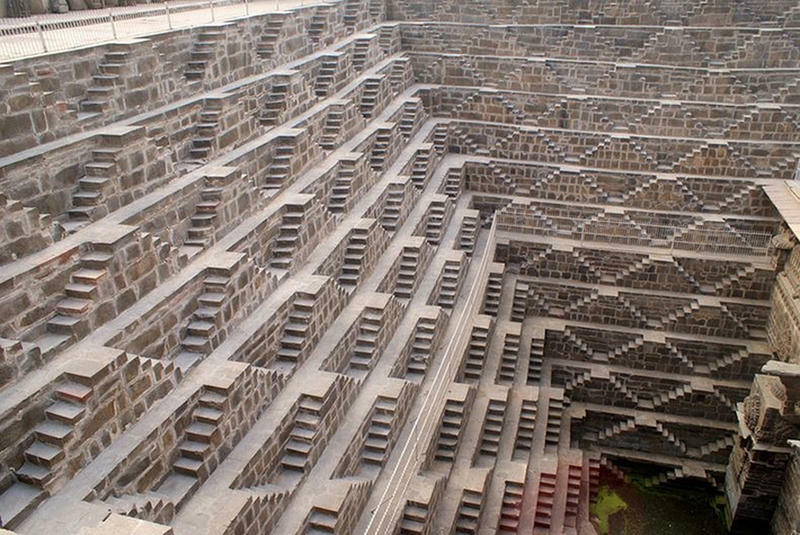 Chand Baori is the oldest stepwell in Rajhastan, India and the deepest and biggest in the entire world. 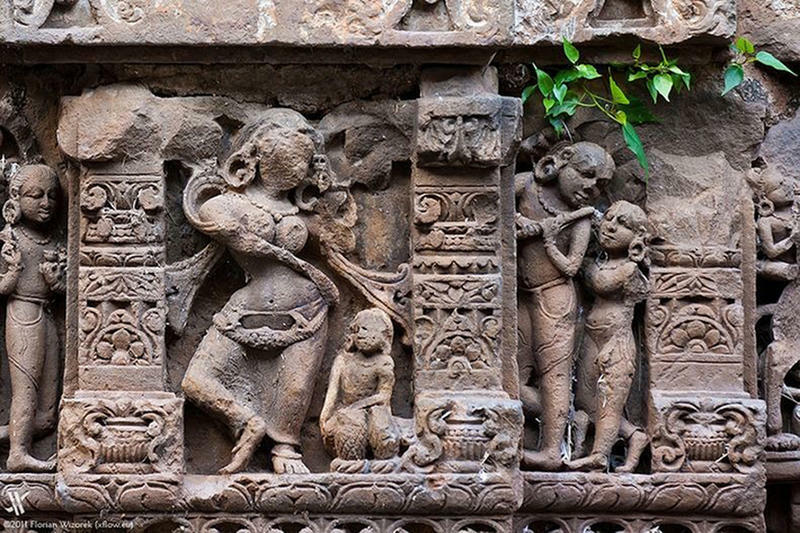 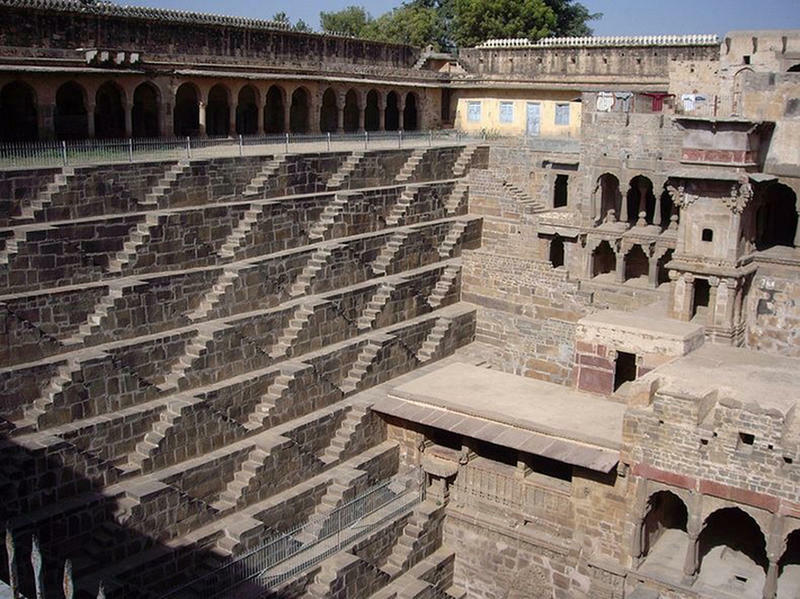 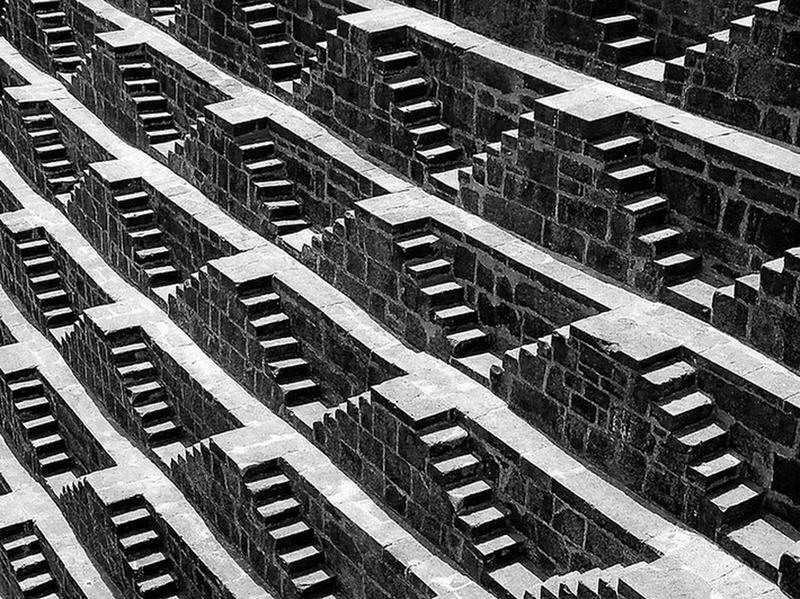 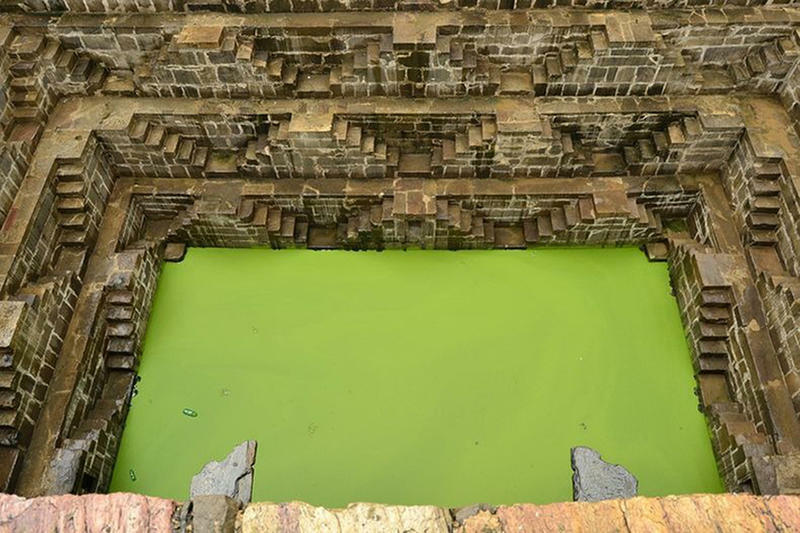 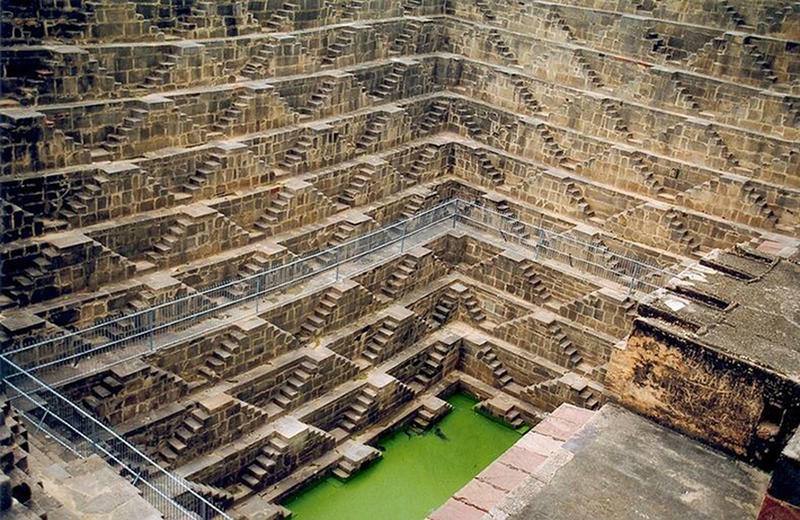 Stepwells are built with steps on the side which allows people to easily reach the water below. 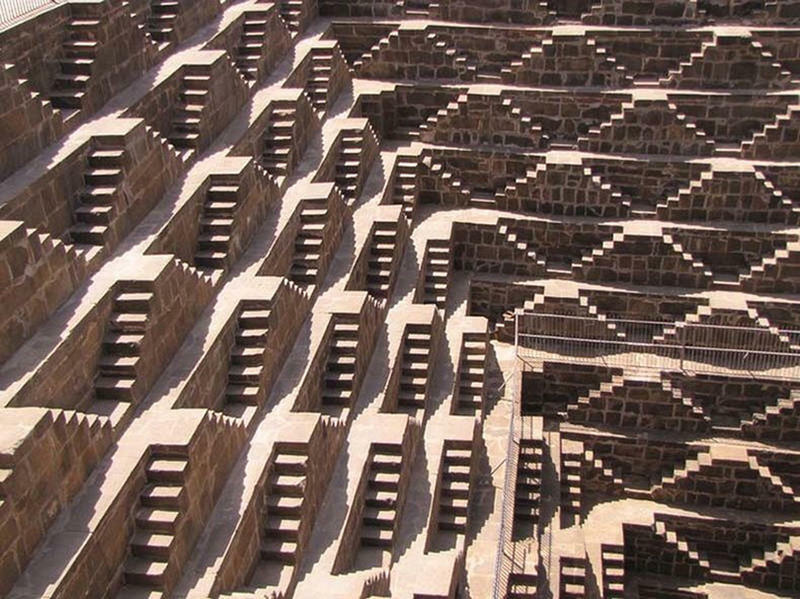 Chand Baori is shaped like a square, measuring 13 stories, and is approximately 100 feet deep. 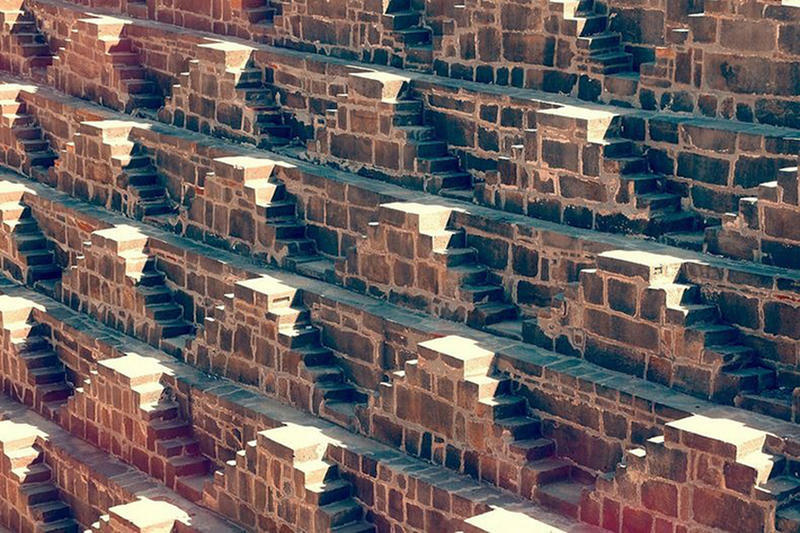 The stair groupings looked like small pyramids. 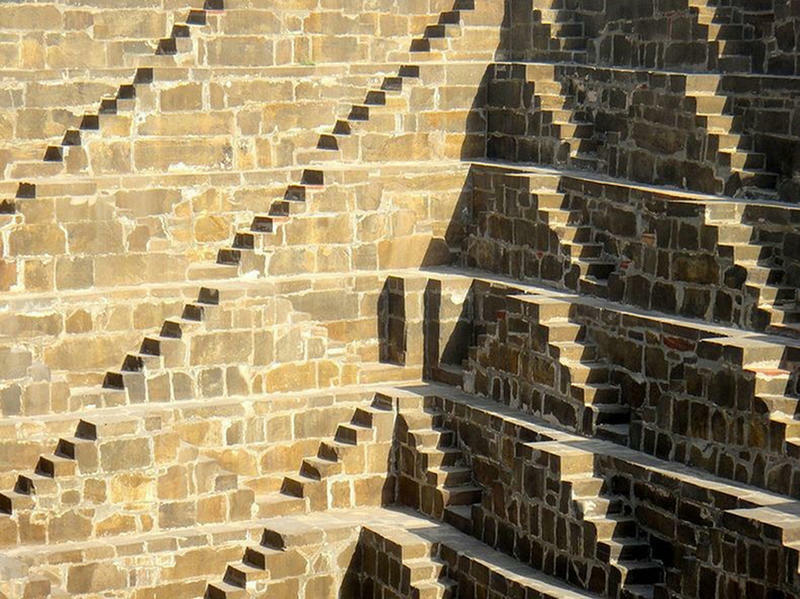 This grand landmark serves as an intricate, artistic, and geometric structure, but it is no longer in use. 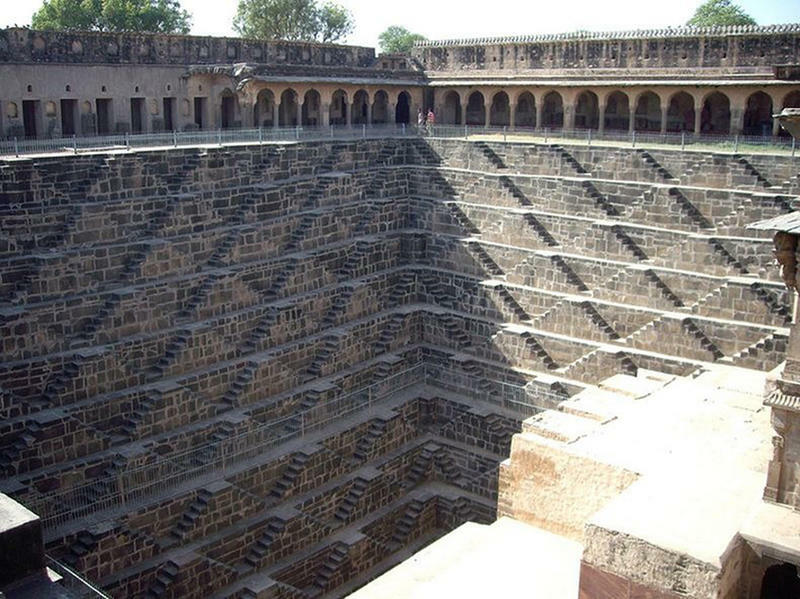 Although it has been featured in many movies. 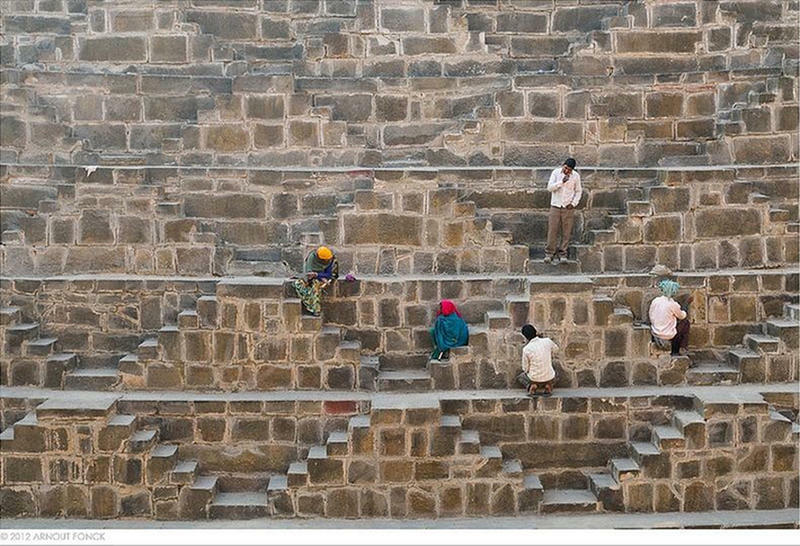 Three walls of the structure contain a total of 3,500 perfectly-lined steps, while the fourth is home to several pavilions built on top of one another. 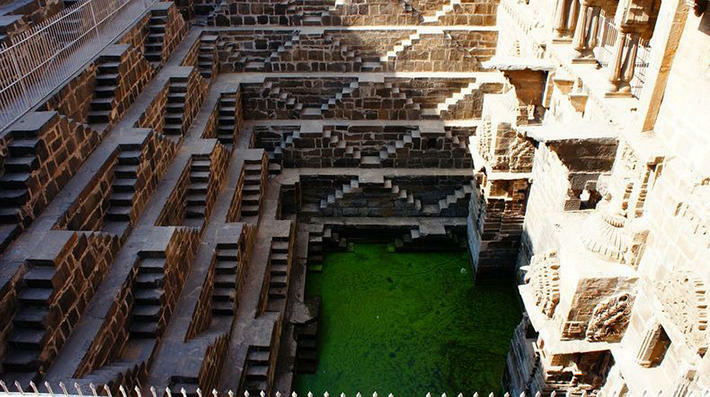 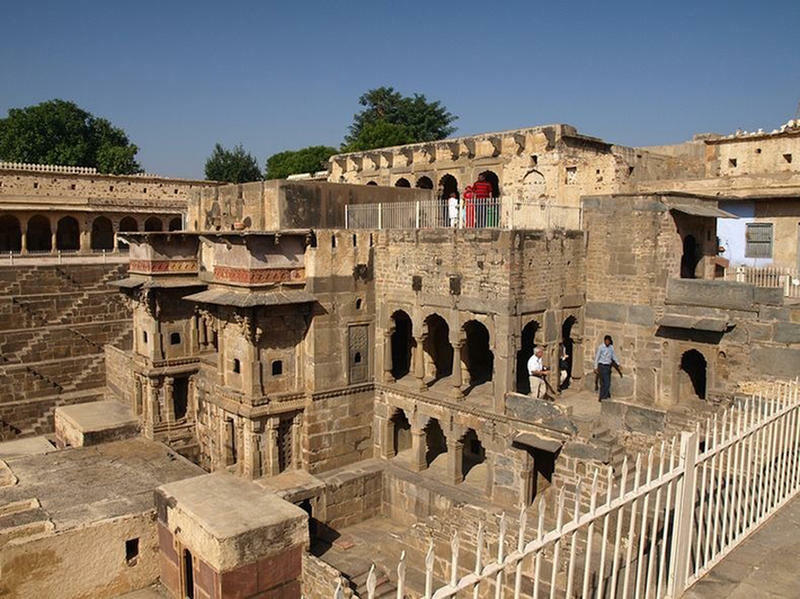 Chand Baori was built during the 8th and 9th century by King Chanda, making it 1000 years old.